The contracts for all of New York City’s municipal unions have expired for the first time since the fiscal crisis of the mid-1970s. 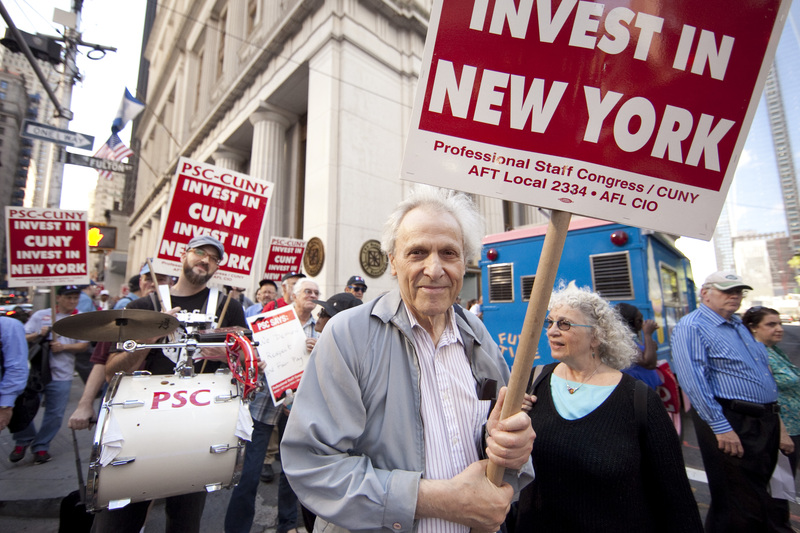 On Wednesday, June 12, PSC members joined thousands of city workers in rallying outside City Hall to demand that the next mayor negotiate fair contracts with them. Mayor Bloomberg has made it clear that he will not approve retroactive pay for City workers and that he means to increase health insurance costs. 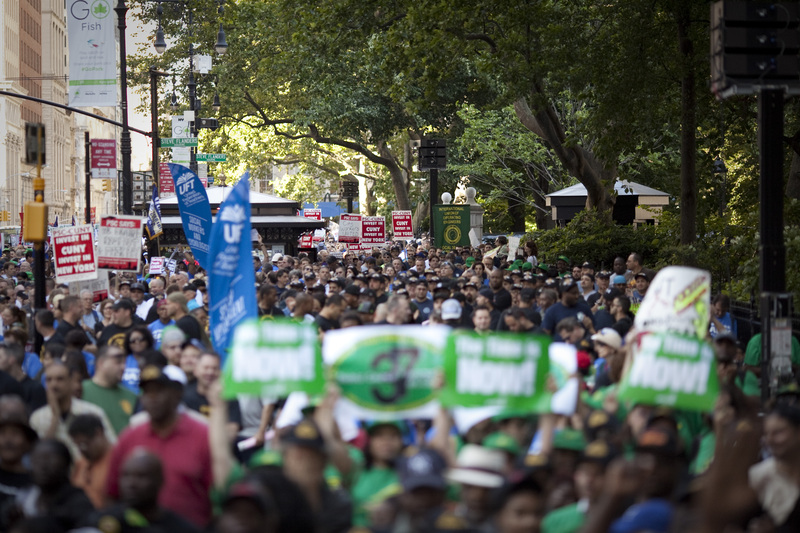 The rally on June 12th was the new York City labor movement's chance to make clear collectively to the next Mayor that that position is not acceptable. 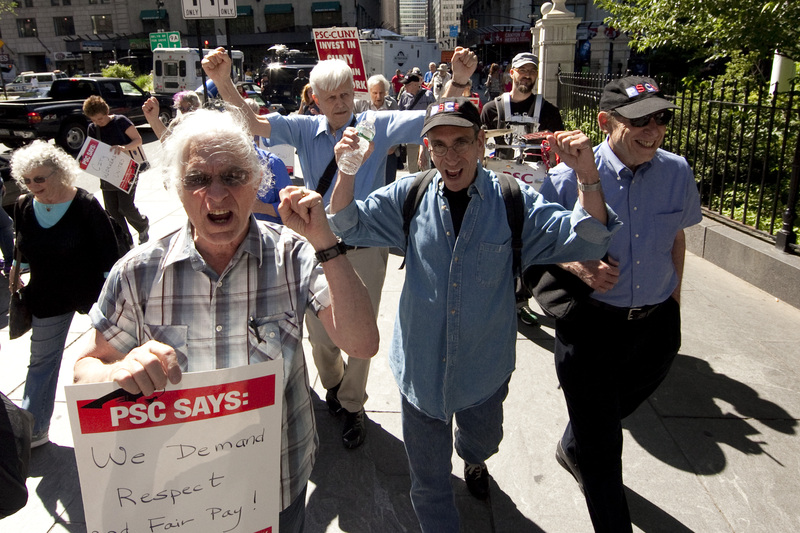 Neither PSC nor any other public-employee union in NYC has pursued bargaining under the mayor's terms. 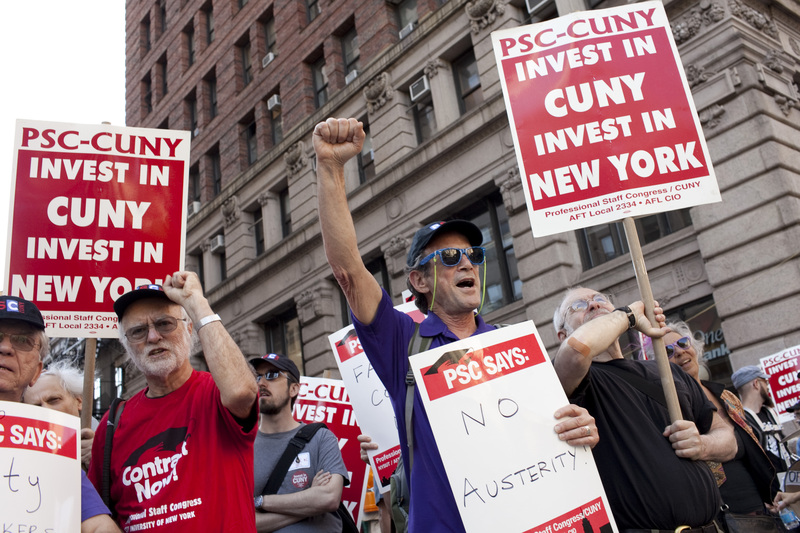 Why did thousands of NYC Workers Rally? How about proposals to shift health care costs onto workers? Or tabloids casting public servants’ contract demands as an attack on tax-paying New Yorkers? 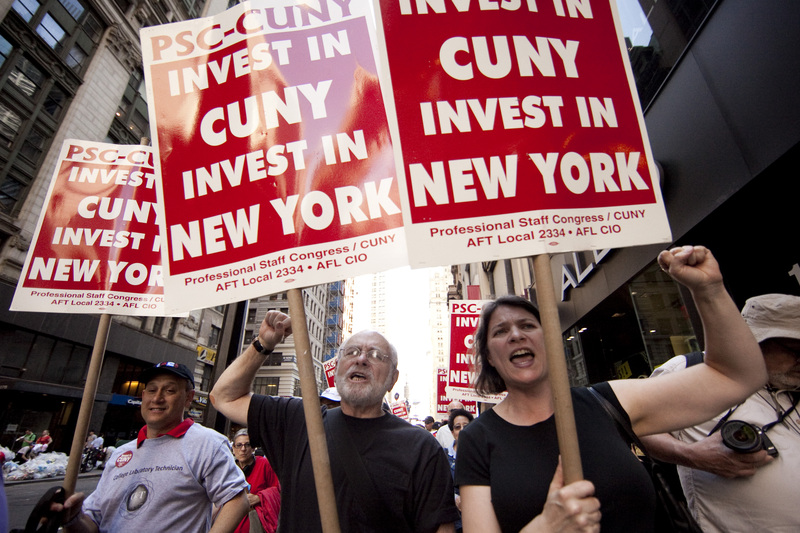 As if CUNY professors, sanitation workers, teachers or firefighters aren’t also taxpayers. 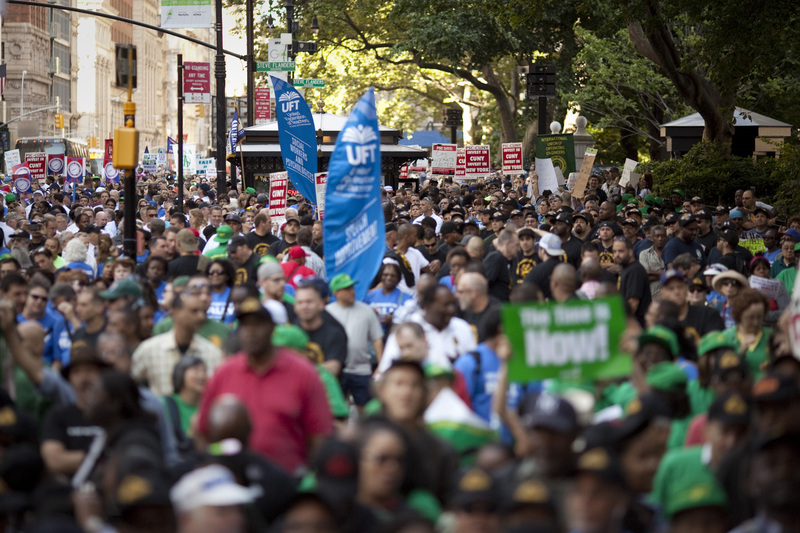 A coalition of New York City municipal labor unions has launched a radio ad called “We Count." The ad urges Mayor Bloomberg – who has let contracts for more than 100 city unions expire -- to settle new, fair agreements with city workers. It invited listeners to join the Fair Contracts for All Rally. A promotional video for the rally with workers from every sector of the City’s labor movement—including PSC leaders—is now online.